At Hope Grows, our values address the world’s abiding need for compassion, community, responsibility and independent thought. We celebrate both individuality and diversity, cultivating understanding of various backgrounds and viewpoints. We design and foster generous time outdoors to engage students with the environment, reflecting our respect for the natural world. 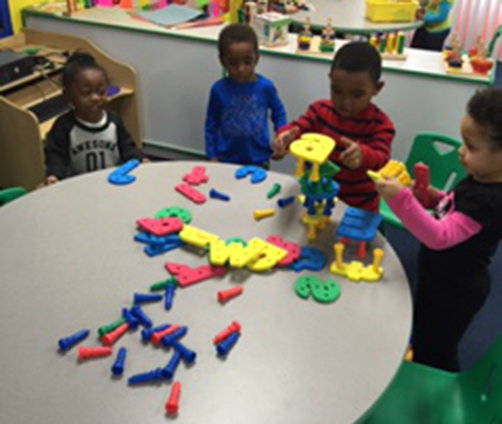 Hope Grows Child Development Center offers a Before and After School Program. Families requiring before and after-school care, the Lost Knife center opens at 7:00am and closes at 6:00pm. We take children to school and we pick children up from school. Hope Grows also has an active and fun-filled Summer Program that entertains children 5 years through 12 years of age. Field trips to different thematic destinations, swimming and hands on arts and crafts are some of the fun things that are included in the summer program. We also offer Winter and Spring Break Camp.